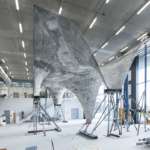 A full-scale prototype of the design was the culmination of a four-year research project by ETH Zürich, and now the thin-shell integrated system’s concrete roof is under construction. 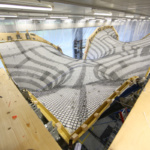 The razor-thin assembly, built over the course of six months, tapers to an impressive one-inch thickness at the perimeter, averaging two inches thick across its more than 1,700 square feet of surface area. 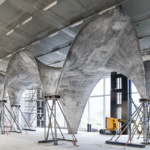 The ongoing project, sponsored by ETH Zürich, NCCR Digital Fabrication, and Holcim Schweiz, will lead to the completion of a rooftop apartment unit called HiLo, which will offer live-work space for guest faculty of Empa, the Swiss Federal Laboratories for Materials Science and Technology. 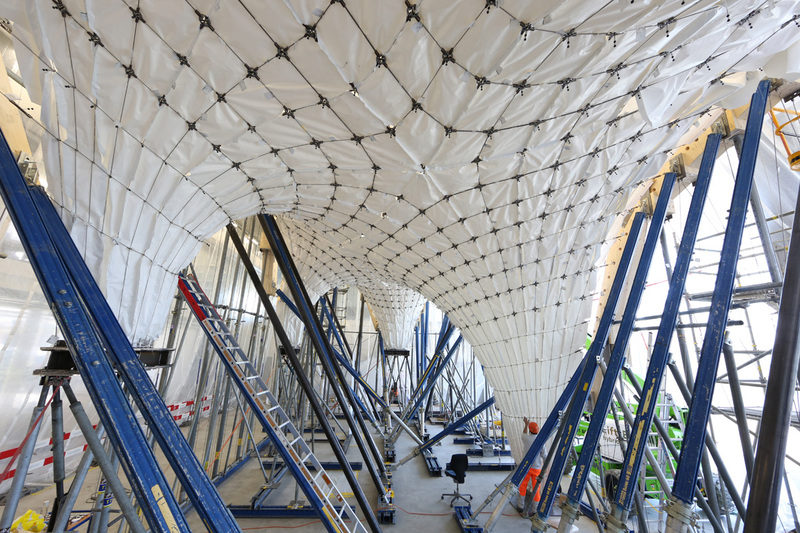 The rooftop structure rises about 24 feet high, encompassing 1,300 square feet. 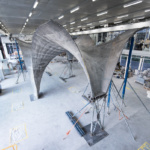 Innovations in thin-shell building techniques were explored by the Block Research Group, led by Professor Block and senior researcher Dr. Tom Van Mele, together with the architecture office supermanoeuvre. 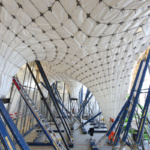 The team purposefully avoided wasteful non-reusable formwork, opting instead to develop a net of steel cables stretched into a reusable scaffolding structure. 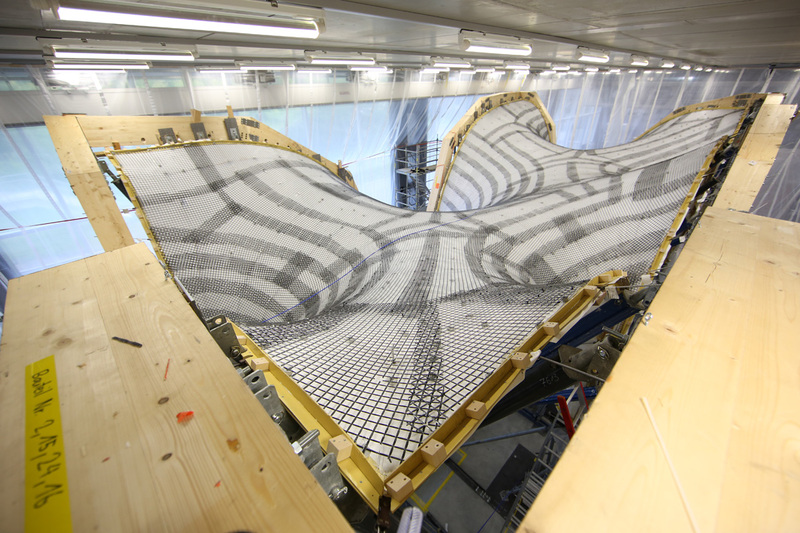 The cable net supported a polymer textile that forms the shell surface. 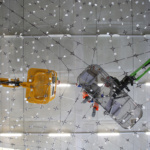 According to ETH Zurich press release, “this not only enabled the researchers to save a great deal on material for construction, they were also able to provide a solution to efficiently realise completely new kinds of design.” The construction technique leaves the interior floor area below the roof relatively unobstructed, allowing interior construction work to proceed concurrently. 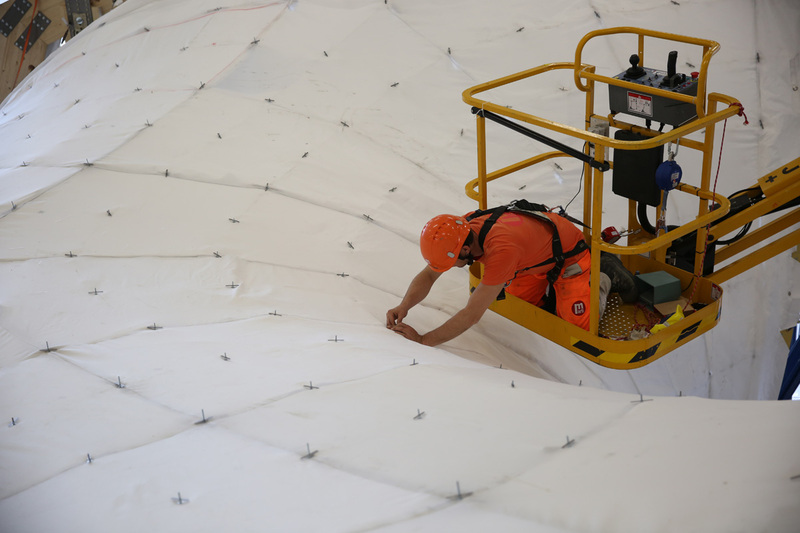 Altogether, this method is expected to condense construction to eight to ten weeks. 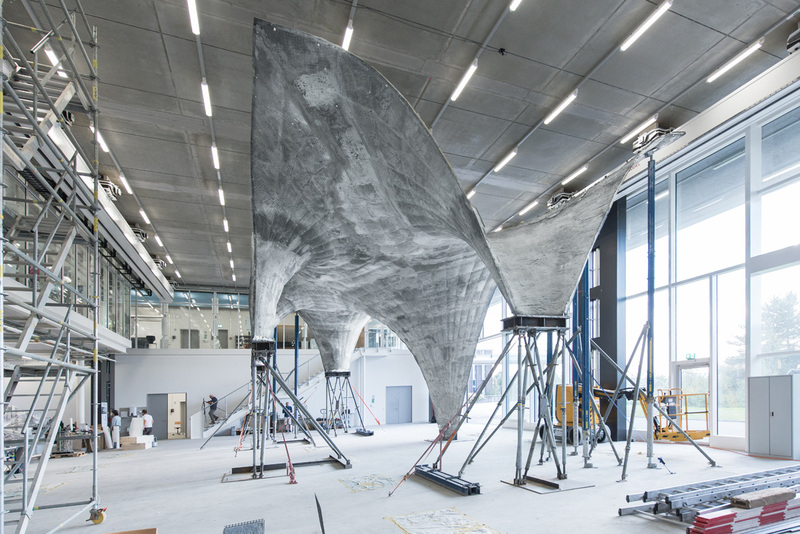 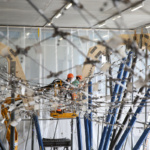 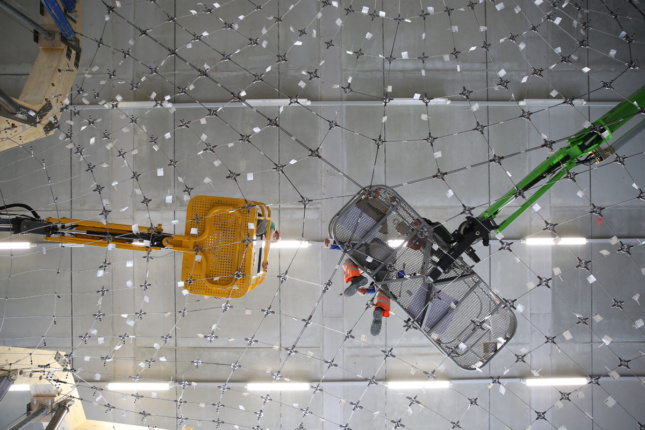 Block Research Group and NCCR Digital Fabrication were able to digitally model dynamic forces wet concrete applies to the lightweight cable net and textile formwork, so that the overall geometry and structuring of the surface can be calibrated to produce an accurate result. 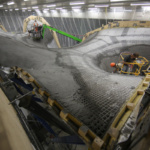 This level of optimization is perhaps most evident in the capacity of the reusable formwork system to hold around 25 times its own weight (20 tons of wet concrete will eventually load onto the formwork). 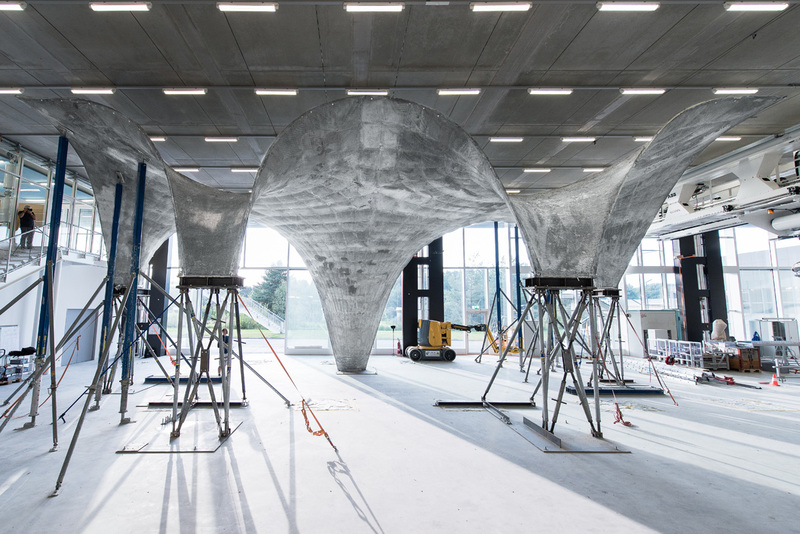 Experts from Bürgin Creations and Marti sprayed the concrete using a method developed specifically for this purpose, ensuring that the textile could withstand the pressure at all times. 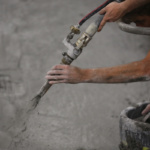 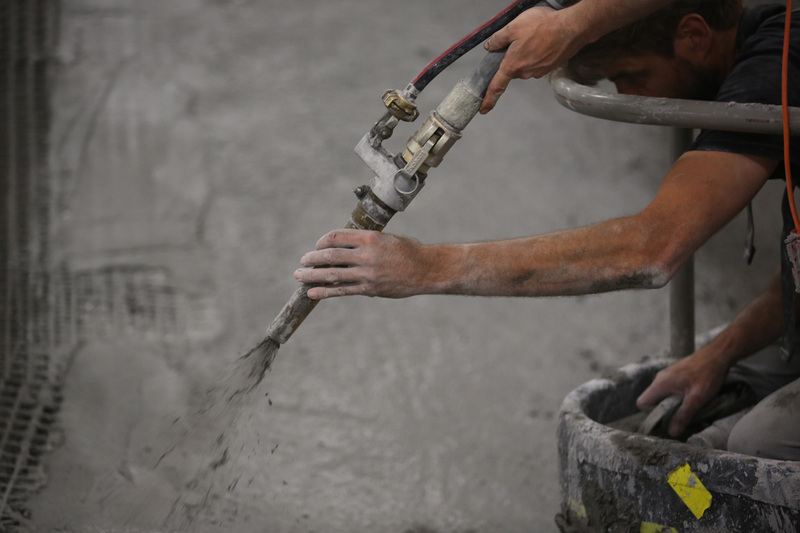 Together with Holcim Schweiz, the scientists determined the correct concrete mix, which had to be fluid enough to be sprayed and vibrated yet viscous enough to not flow off the fabric shuttering, even in the vertical spots. 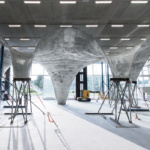 The innovative concrete structure offers more than a new method for constructing concrete shell structures: it’s aim is to be an intelligent, lightweight energy-producing system. This is achieved by careful assembly of multiple layers of building systems. 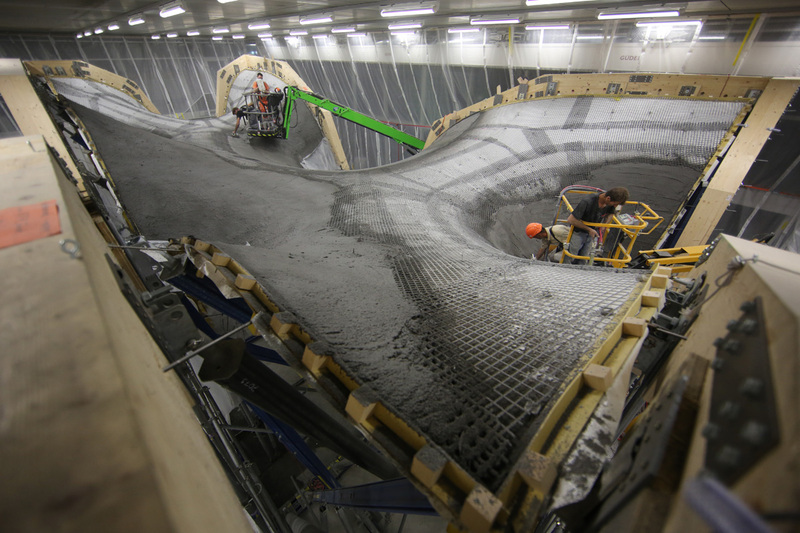 Two layers of concrete sandwich together insulation, heating and cooling coils, while thin-film photovoltaic cells wrap the exterior surface. 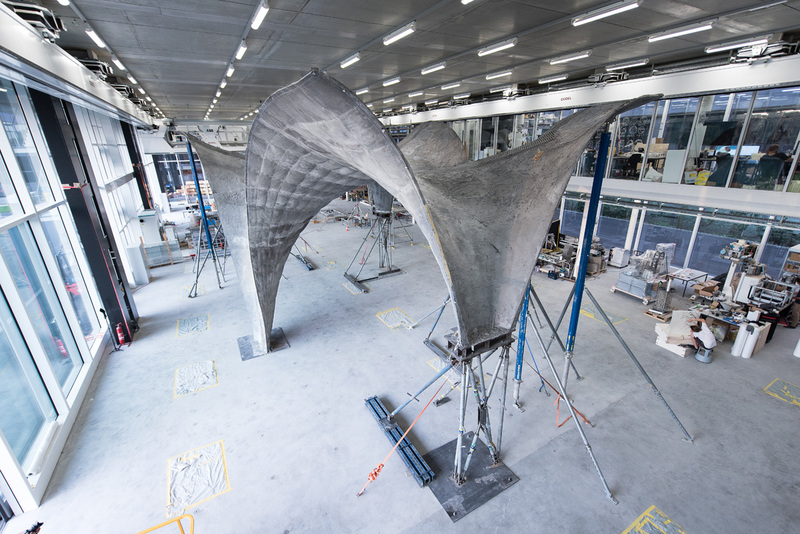 The residential unit, enclosed by this roof system, and an adaptive solar-shaded facade, is expected to generate more energy than it consumes. 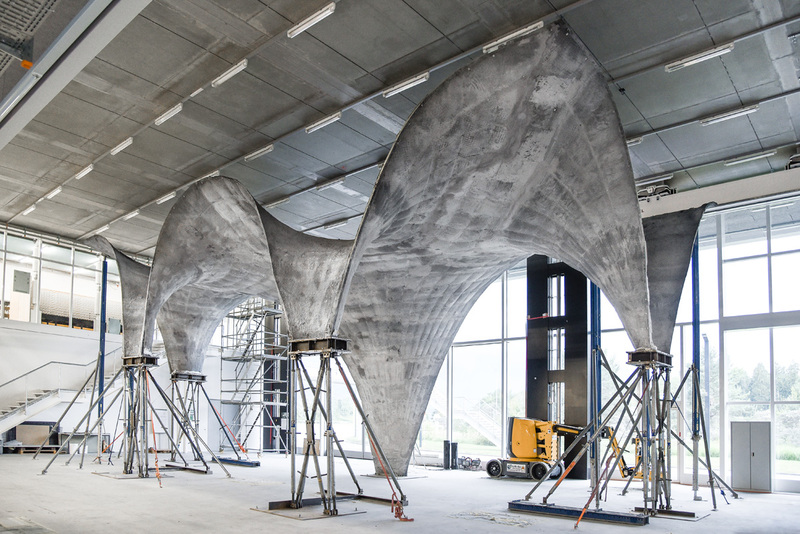 “We’ve shown that it’s possible to build an exciting thin concrete shell structure using a lightweight, flexible formwork, thus demonstrating that complex concrete structures can be formed without wasting large amounts of material for their construction” said Block in a press release. 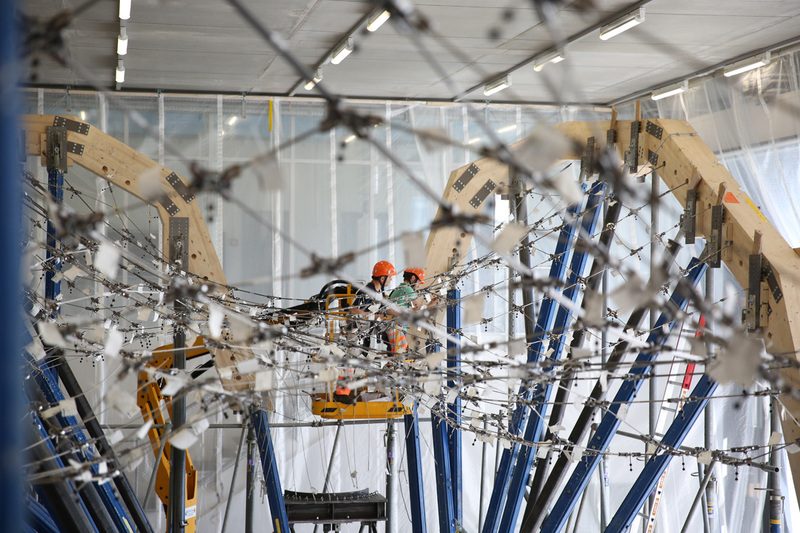 Because we developed the system and built the prototype step by step with our partners from industry, we now know that our approach will work at the NEST construction site.” You can view progress at the Dübendorf, Switzerland construction site via live webcam, accessed here.